We thought we'd bring attention to some of the checks you can do to safeguard against rogue traders. Inflatables are no more dangerous than any other activity you or your children enjoy. Some media outlets, however, took a knee-jerk reaction and assumed it was a bouncy castle. This type of irresponsible reporting is scaremongering, and while it may sell papers/magazines it also creates issues for legitimate operators who undertake their businesses responsibly. 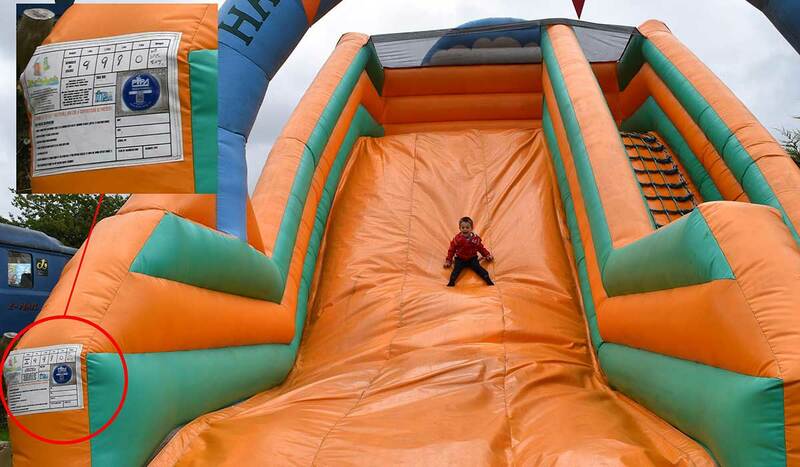 Bouncy castles, inflatable slides and other inflatables are great fun they're used in all climates across the globe. Most accidents and incidents involve substandard equipment (typically purchased cheaply from China) different types of inflatables (such as toys or sealed units) or negligent operators, most of the articles I've read involving serious accidents though have come down to poor supervision and negligence. This article will help you in avoiding possible rogue operators and what checks you can do yourself to stay safe while still having fun. With the public eye, media and the government firmly fixed on tackling safety issues surrounding inflatable apparatus, we thought we'd bring attention to some of the checks you can do to safeguard against rogue traders. From forged insurance documents to fake safety certificates here are a few checks you can undertake to ensure the operator is genuine and that way you can make a better-informed decision on whether the firm you're employing is responsible and the equipment you, your company or your family is using is safe. At events or even when hiring equipment for use at home you need to know that you're hiring from someone reputable. The majority of bouncy castle operators are incredibly responsible, and go to great lengths to ensure your safety and that you have fun. But there are always those few who spoil it and even worse put people's lives at risk to earn a few pounds. But how can you tell a good operator from a bad one? What do you need to look out for and how can you carry out checks yourself? You can't is the simple answer. However, you can go online and find the broker or insurer named on the cover note and check with them if the person or company are indeed covered. Brokers and insurers have to keep detailed records, and while they cannot divulge anything else about a company or person they will be able to inform you whether they are indeed insured and this goes for any trader you're considering employing. What may ring alarm bells is if the document has any irregularities like FSA instead of FCA or the address or telephone number is wrong. It is better to do the above though, also don't use the information provided on the document check and use the details you find online. Alternatively, you can check directly with the FCA to see that the broker or firm are authorised to transact insurance. Unfortunately, ‘Ghost Broking’ is not uncommon and the Insurance Fraud Register can be used to report insurance fraud. This could be a whole other article in itself which we will do at a later date. 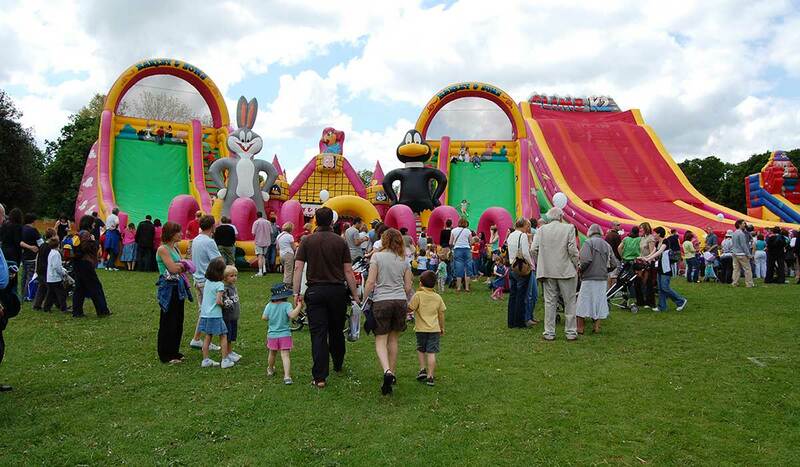 It is not currently law to have public liability insurance for bouncy castles or any other leisure equipment, however, with the recent incidents It is strongly advised this insurance is in place, as without it, obtaining any compensation following a loss may prove difficult. Having the correct insurance or belonging to an industry association still does not guarantee your safety though, no amount of insurance can stop an accident. Never use inflatable equipment or bouncy castles that haven't got a safety inspection certificate. Often rogue traders buy cheap inflatables from China which don't stand up to British/European Standard (BS EN 14960). The safety inspection tag should be on display and easily seen by anyone wishing to use the equipment. I would suggest that only 15% of manufacturers have RPII in-house as its such a small part of most businesses. "Strictly speaking, RPII & PIPA registered inspectors are qualified to test and certify inflatables designed for bouncing and sliding for children under the age of 14. Some testers, along with the manufacturers also test inflatables outside of the scope of the EN14960. The Pipa scheme does not currently cover any other inflatables. Gladiator duels, bungees, bulls, quad tracks, nightclubs, knockout sections, foam pits, sumo surrounds, arena,s zorb tracks, stages, buildings, booths, fairground games, darts, football shootouts, Bars, Golf courses, nerf arenas, mazes, arches and other structures. We must remember that the RPII & PIPA are a brand and a brand only. The legal test requirement is EN14960 and all test reports are identical regardless of the brand, It is my view that most manufacturers have more experience outside of the scope of testers but there are plans in the pipeline for PIPA to expand the scheme within the next 12 months and hopefully, the RPII will follow suit with appropriate tester training." What do the Numbers Mean on the Safety Tag? There is a lot of information on an inspection certificate, as you can see from the image. Let's go through each item one by one starting at the top. (Some tags may have a slightly different layout but will contain similar information as you can see from the PIPA tag below). Product: This will state what type of equipment this has been issued for it may be a bouncy castle, inflatable slide or a bungee run for example. Number of anchors required: This tells you how many ground anchor points it requires, you can then check to make sure these are all secured correctly. Type of blower required: Unless you understand the different types of blowers this isn't something you can really check. The type of blower is how the equipment is inflated if it's not the right size the equipment will not inflate correctly. Maximum height of user: If the equipment is designed for younger people and the maximum height 1.25 meters an adult of my height 1.7 meters is not to use the equipment. Maximum number of users: Possibly one of the most important stipulations having too many people on the equipment is obviously dangerous for a number of reasons. Serial Number: Every piece of equipment has its own unique serial number. This can be used to identify the equipment and to check that it matches the inspection certificate. Date of Manufacture: The date the equipment was made. Below that, you have a height and user chart which will tell you how many people of a certain height can be on the equipment at any one time, user heights should not be mixed and, of course, the number of users should never be exceeded. Do inflatables have to have regular tests, is it the law? While having a PIPA certificate isn't law it is, however, the law to have all leisure apparatus used for commercial purposes tested annually. 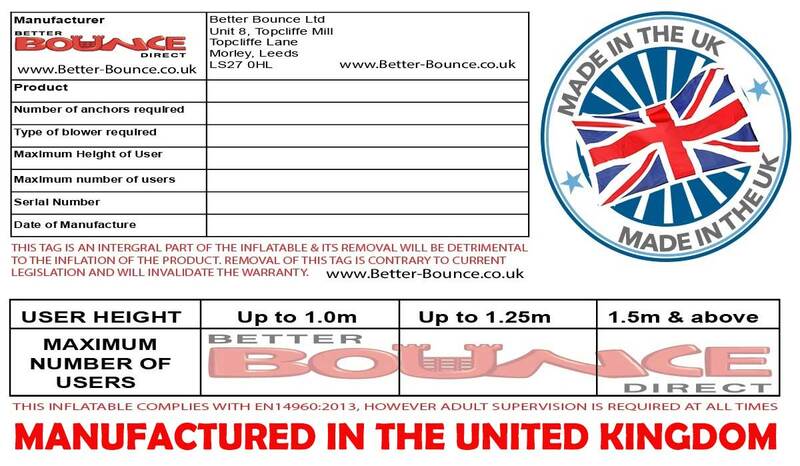 PIPA is currently the most recognised body for providing RPII approved inspectors in the UK inflatable industry. Does the equipment look fit for purpose? Are there safety mats around the entry and exit points? Does it look to be inflated correctly? Is it tied down and anchored securely? Does the operator avoid answering questions about insurance etc.? Check the weather is it windy or gusty? The Met office can inform you if the wind is/or is going to be over 25mph in which case never use any bouncy castle. Is the operator paying attention and supervising? Are there more people than there should be on the castle? If any of the above seem in doubt you're probably better off avoiding using the equipment. As with any activity though accidents may happen. Just looking online you can see the number of accidents for any activity, did you know on average there are 40,000 accidents in playgrounds on average each year? It all comes down to common sense and using your own judgement. Hopefully the above will aid you in having good fun in a safer way. If you have any questions about leisure insurance or need to check an operator's insurance documents issued by FML Insurance, please give us a call on 01702 225 440.